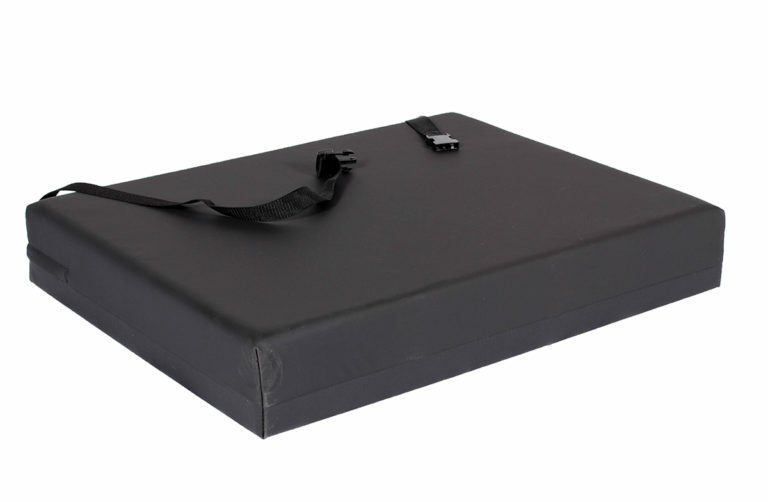 Wheelchair cushions designed for the bariatric patient. Available with or without rigid base. Four inch high density foam for necessary support. Attaching strap included. Moisture resistant zipper nylon cover.